Pictured here is our Secretary/Treasurer, Laurel Jean Walden, with her beautiful, black Lab mix Zettie on a snowy day in Charleston, SC. Zettie passed away on Wednesday. The following is posted in Zettie's memory by our President, Audrey Gunter. She was a beautiful girl-tall, tantalizingly tall; long and sleek with gorgeous, shiny, silk-like hair; captivating big, brown eyes-one could be consumed by those eyes; soft, unbelievably soft ears and an attitude that quickly told you that you were in the presence of royalty! 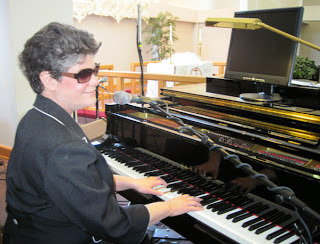 She was, after all, the Empress Queen Diva! She was the boss and she had no problems letting folks know it, either. 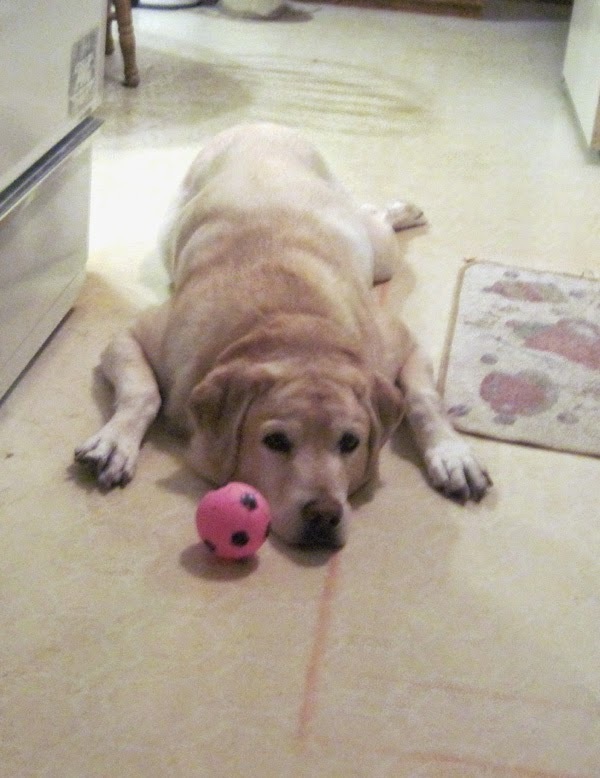 She was also a character-goofy and clumsy and just so-so funny; but majestic at the same time. She'd blunder into a room, tail wagging, knocking things about with every step; look around for just that perfect person; plow through anything in her way; take that regal, long nose of hers and place it just under one's hand. Then she'd throw her head up in the air, taking the hand with her! That was her way of introducing herself. She was just as genteel as she was rambunctious, though. 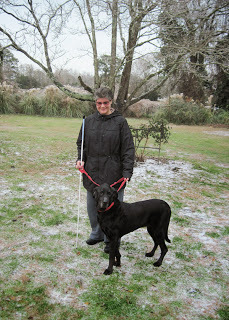 Zettie could have very easily passed as a guide dog but Laurel made sure that she was never mistaken as a service dog. 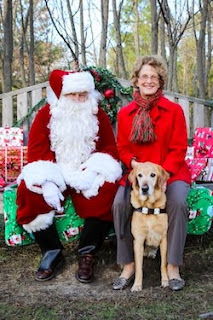 I was always amazed how well Zettie interacted with the many, many service dogs she came into contact with over the years. As big as a small horse and stubborn as a large mule, she was such a loud, demanding yet ever-so faithful soul-with the wisdom of an aged sage. She took on other's responsibilities like a mother hen. She appointed herself as attendant to others and made sure those in her charge knew she was the boss! Loyal, faithful, loving, exuberant Zettie! What a girl she was! 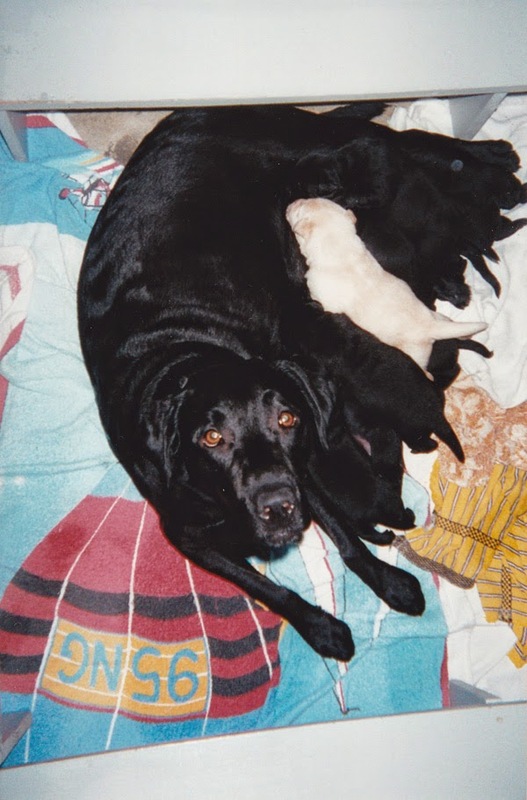 She crossed over Rainbow Bridge Wednesday with her mom, Laurel by her side. Zettie is running through the Heavens right now-free from pain and hurt. Zettie and I had this thing we did with me shaking my fist at her saying, "I'm gonna give you one of these right across the kisser!" She'd always prance on those two big front feet and give me that playful growl of hers that would make anyone smile. God continues to bless us in many ways. 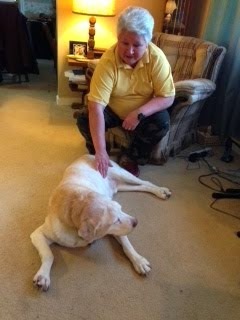 I know He blessed me by knowing sweet Zettie and I believe the entire world is a bit better for having her among us. 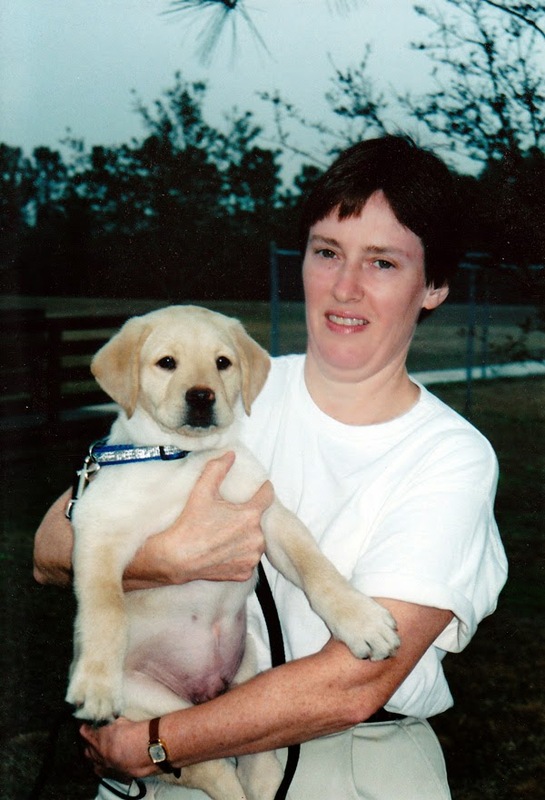 January 2014  Smithtown, NY  The Guide Dog Foundation is excited to announce it will now offer its accredited guide dog training in a 12-day program. 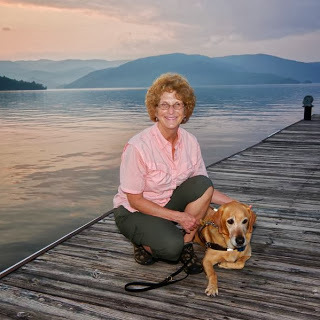 Beginning in February 2014, this new curriculum will offer a 2:1 student/instructor ratio and will focus on incorporating a blend of customized training formats to meet the specific lifestyles and needs of students while maximizing the training time in class for students and their dogs as they prepare for real-world situations. "We are implementing this new approach in order to meet the needs of our blind and visually impaired applicants while also being respectful of our students' time to commit to training with a guide dog," says Wells B. Jones, CEO of the Guide Dog Foundation. "This is an exciting change for the program. 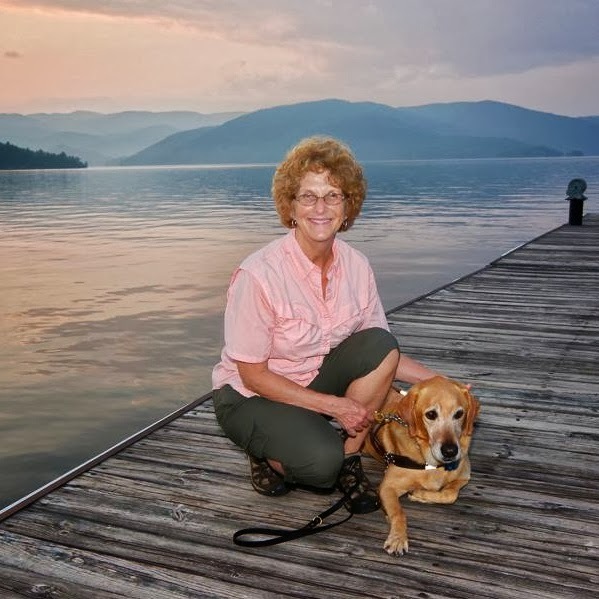 Our students will graduate with their dog in a shorter amount of time while gaining the real-world training targeted specifically to their lifestyles." The hallmark of the Guide Dog Foundation is its meticulous matching program to ensure that each applicant is teamed with the guide dog that best suits that person's personality, lifestyle, and physical needs. This refined training program will now offer greater individualized training in concentrated sessions. While the student will spend fewer days on campus, the amount of practical training will increase. This represents a change from the Foundation's previous four-week residential training. In addition, because of the lower student-to-trainer ratio, students and instructors will be able to cover their specific needs pertaining to their home environments by focusing on various training walks (urban, country and night walks); mass transit situations, including train platforms, subway, and bus travel; traffic area training and other types of conditions. Students in class will continue to participate in lectures on grooming and care for their dog, obedience practice, accessibility awareness and the Americans with Disabilities Act, and guide dog etiquette for non-guide dog users. The Foundation will still offer home training if it is determined that a student's needs will be best met by this type of intensive training; this decision is made on a case-by-case basis. For questions about the guide dog training program visit www.GuideDog.org or contact the Guide Dog Foundation Consumer Services Office at 866-282-8047. 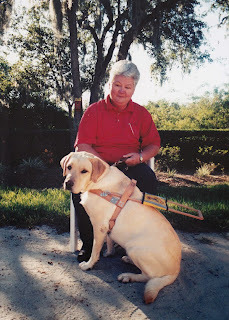 For over six decades, the Guide Dog Foundation has supported the independence, enhanced mobility, and companionship a guide dog brings to its handler. 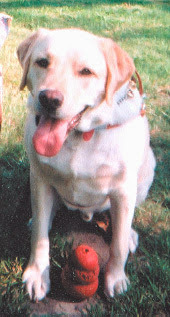 Students come to its Smithtown, N.Y., campus from all over the United States and Canada for the quality of Foundation dogs and its innovative training techniques. There is never a cost to consumers for their guide or service dogs. The Guide Dog Foundation relies on contributions from generous individuals, corporations, service clubs, and foundations to support its programs. It does not receive government funding. 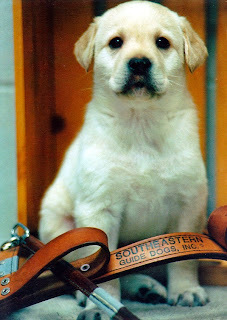 In 2009, the Guide Dog Foundation for the Blind became the first assistance dog school in the United States to be certified by the International Guide Dog Federation and Assistance Dogs International. It was recertified by both regulatory bodies in 2013. Paws 4 a look back on 2013! Pastor Linda Trowbridge, senior pastor of Bethany Park Christian Church, Disciples of Christ, Rantoul, IL blesses one of the many guide teams attending The Top Dog 2013 Blessing of the Guides. 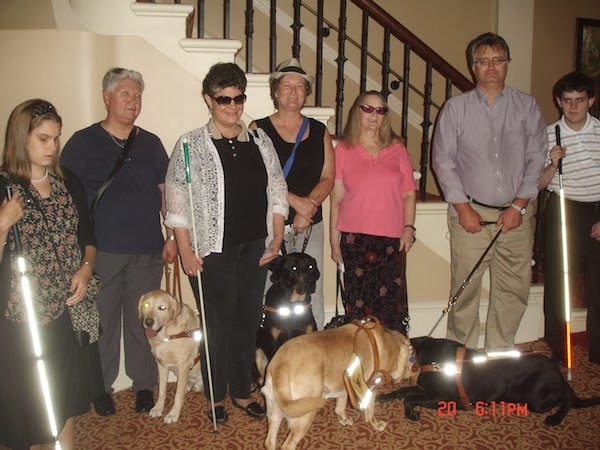 Thanks again to Georgia Guide Dog Users, and Guide Dog Users of Florida for joining with us to make Top Dog Savannah a tail-wagging success! 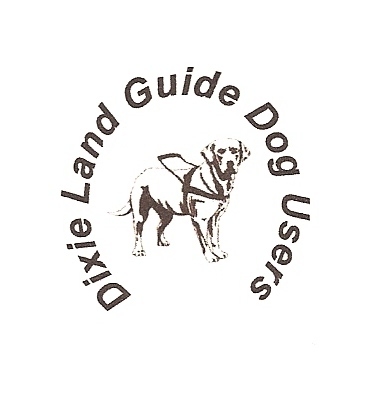 Dixie Land was responsible for assisting in planning, audio, music/entertainment, pastors for The Blessing as well as purchase of the token coins given out at this event. We’re happy to announce that Top Dog is coming home to Charleston, SC in 2015! Plans are under way for another down-home, southern weekend filled with food, fun, fellowship and furries! Check back soon for more details! Top Dog 2013 marked the debut of a very special song, written by Dixie Land officer Laurel Jean. 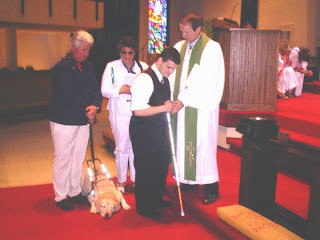 “The Blessing of Your Love” is a heartwarming musical tribute to the love shared between guide dogs and their handlers. 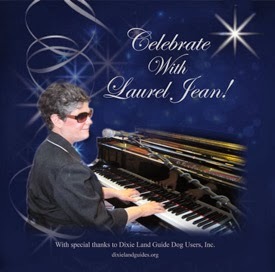 You can hear a sample of the song and check out Laurel Jean’s “Celebrate” CD on her Albums Page. 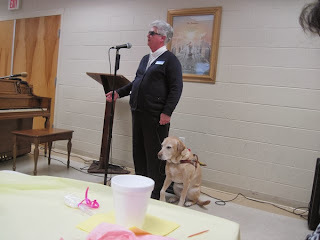 Our President Audrey Gunter and guide Jessie address the Girls In Action of Fort Johnson Baptist Church, Charleston James Island, SC as part of Dixie Land’s Paws 2 Educate Initiative. 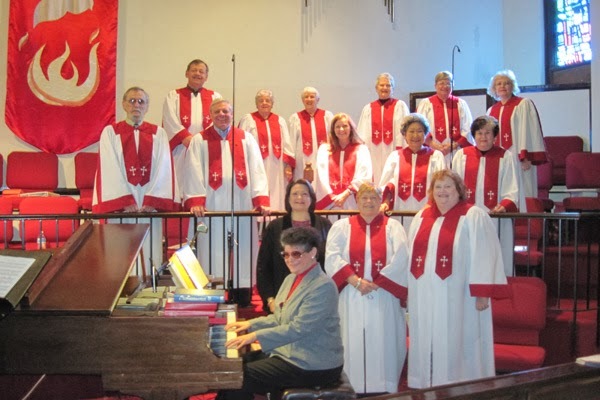 Our thanks to the Girls In Action and the Seniors of Fort Johnson for making Dixie Land GDU and Music By Laurel Jean part of their schedules, and for their generous financial sponsorship toward the continuation of our work in the community. 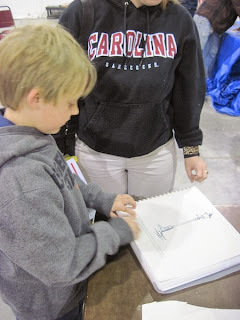 Cub Scouts of Goose Creek, SC take time to connect the dots to the Braille code. Our visit to Goose Creek helped these young Scouts as they learned about the importance of being kind to others. 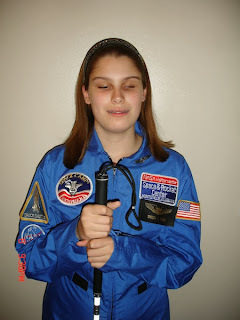 Thanks to Bill and Debbie Craig, parents of Dixie Lander Shelby Craig, for sending this picture of Shelby at Space Camp. This young lady is not about to allow her blindness to stop her from reaching for the stars! Thanks also to Bill and Debbie for sending this picture, taken at our outing for pizza and a visit to the Dock Street Stage, part of our Keeping Families Focused Initiative. A big thanks to the Dock Street Stage for providing the tickets which helped make this fun evening possible for Dixie Landers and family members. 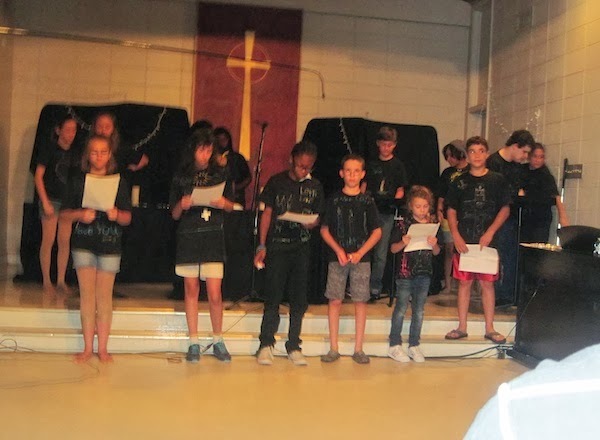 Our Immediate Past Vice President, Taylor Jones Stebbins, joins youth in a drama presentation as part of the Worship Arts Camp hosted by Grace United Methodist Church, Charleston, SC. Our thanks to Grace UMC for being so open to giving God’s outa sight kids the same opportunities to minister in the Body of Christ with all other members. 2014 is already proving to be an exciting year. Check back often for posts, and updates on how you can get involved. 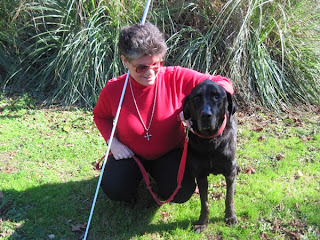 Thanks to our Dixie Landers and friends, especially the Association for the Blind and Visually Impaired, Charleston, SC, for your ongoing prayers and support! Together, we really can make the world a better place!